Serving the best of Australian seafood since 1959, you can find Richmond oysters in Richmond, Glen Waverly and Oakleigh. Beginning as wholesalers in their Richmond location, brothers Tony & Nick Anassis began with a goal of supplying fresh, premium quality ingredients to the popular pubs and restaurants of Melbourne. Opening their own restaurants in 2006, they expanded their sights to supplying for their own restaurants as well. Before you dine, stroll past the seafood displays in the retail cabinets- you’ll see that Richmond Oysters is the most honest example of “sea to plate” that you’ll find. Richmond Oysters offers a $15 lunch menu, a series of differently served oysters by 3, 6 or 12 and a range of seafood platters differing in contents and size. You can customise your platter to your taste, adding extras like soft shell crab, tiger prawns, fish cakes, lobster, eye fillet steak and salt and pepper calamari. It’s your choice- a casual dinner, or a luxe feast! Every plate or platter will be fresh, colourful and delicious. All restaurants interiors have a modern, trendy vibe. Between them, there’s a chalkboard feature wall, a sleek red bar, crisp white table settings and a mirrored mosaic bar. Visit each for a different dining experience. 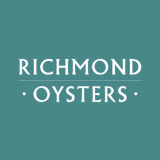 Come enjoy fresh seafood and luxury at Richmond Oysters.